Despite Cromwell being one of the furthest places from the sea in New Zealand, the Cromwell Golf Club is unique in the respect that it has been transformed into a true links course based on its original free draining silty stoney subsoil. 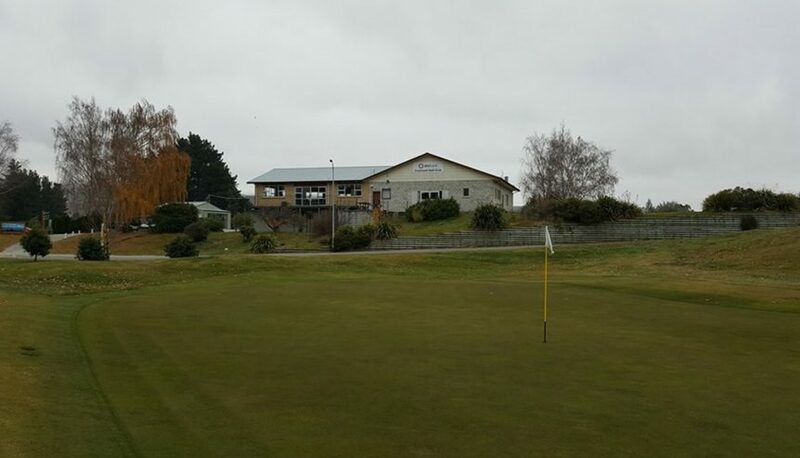 Former NZ Open Champion Greg Turner inspired the new development which consisted of a housing redevelopment, the removal of a large amount of pines and newly constructed greens which was completed in 2012. There’s no shying away from the fact that the Wakatipu basin is destination golf in New Zealand. But if you’re travelling to the area then there’s every chance that Cromwell is “on the way” unless you’re flying into Queenstown, so there’s no excuse not to call in. 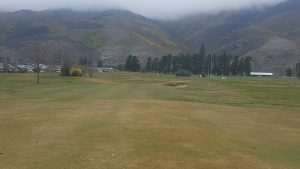 And even if you are flying into the area, Cromwell Golf Club is no more than an hour away from the middle of Queenstown’s CBD and there’s every chance you can rock on up without a booking especially during the week throughout the colder months. Life is too short to be stuck behind that big tour group. For as little as $35 for NZ affiliated and $50 non-affiliated members from June to August you can get onto this championship course that caters for all levels. 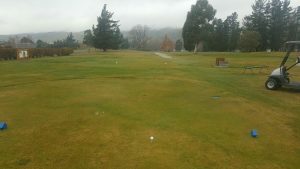 Cart hire is an additional $40 so you’re getting pretty good value for a game of golf for under $100 in the heart of Central Otago. This one is for the North Islanders who are getting battered at the moment. Being a links course and its location, Cromwell is very rarely closed for surface water and if it is then it’s normally for a short period and recovers well from downpours – that’s when the area actually sustains heavy rain. 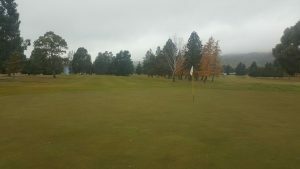 For some, walking around a dry course in Otago in the middle of winter is a blessing and something that can’t be taken for granted particularly for visitors from less fortunate clubs. Upon entry you’ll be greeted by Willie Moore, Director of Golf. Willie has a fully stoked shop and is a fully qualified golf professional. He is a local lad who did a stint in Melbourne before returning to his home town to take up his dream job. The practise range is a stones throw from the putting green and shop area and Willie does a great job with women’s coaching clinics. He also does a pretty good coffee in the shop. On a calm clear winter’s day the course is dwarfed by the towering Pisa Range to the north west and Northburn Ridge to the east. Bordering the 8th tee is the Wooing Tree Vineyard situated on the main into the township while from the 10th tee, the ball is easily spotted against the rocky backdrop of Northburn. It’s these peaks and the surrounding Lake Dunstan that play part in Cromwell’s weather from hot windy north westerlies ripping down the lake to the still hoar frosts in winter. As mentioned earlier, Cromwell is simply unmissable if you’re travelling by car through the area. It is the link between Alexandra and Wanaka therefore is the gateway to the alpine ski areas in the Wakatipu basin and beyond. While the town continues to grow there’s less hustle and bustle around the roads and the course is no different. It would be a mistake to let Cromwell be that course you always drive past but never play on the way. Freezing temps means growth comes to a standstill and with regular iron applications on the greens, they begin to slicken up and roll pretty well. The fairways are irrigated over the summer months so there’s plenty of cover on the dormant fairways throughout winter. 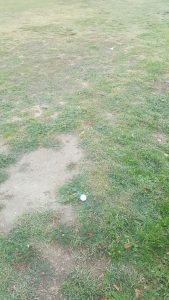 The rolling fairways can be both friendly and nasty while the rough is barren and hungry with swards of marram grass that really tops off that links feel. The greens are a mix of the old flat greens and the new undulating redeveloped greens. Something for everyone’s taste. Like any good links courses there are good days and bad days depending on conditions and of course where you tee off from. At Cromwell there are also wide-open spaces so the course can be forgiving particularly on calm days however for those who enjoy a challenge, try the black tees. Measuring 6462m – playing from these blocks is the ultimate test especially during winter where distance is compromised by the cold air and lesser ball flight. The par 3 3rd is worth a mention and is a beast at 206m to a green surrounded by undulation that will test the short game of the best. At the time of writing Cromwell had been blanketed by pocket of cloud for a number of days due to the freezing temperatures. Without getting to technical of why this happens one thing we know is there’s a lack of wind in winter when this occurs, making the links a little more forgiving. Turn the seasons on their head and fast forward to summer and it can be opposite and the course plays its true self. If you’re not a fan of wind then winter time at Cromwell is your baby.